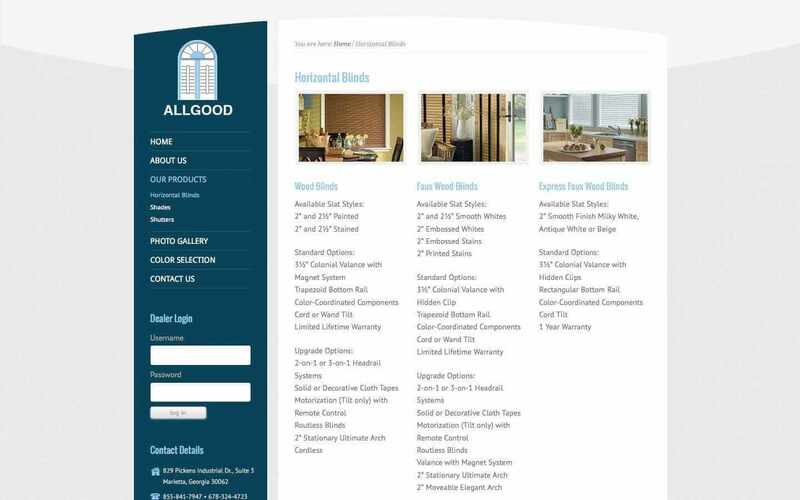 Allgood Blinds & Shutters is a full line manufacturer of fine custom interior window coverings. As a company that primarily services the southeast, they provide over sixteen years of manufacturing ownership, sales, and customer service managerial experience. They attribute their success to the quality of the people and service that they provide for their customers, which is possible only through the dedication and hard work of their employees. Have we grabbed your attention? Like what you see? 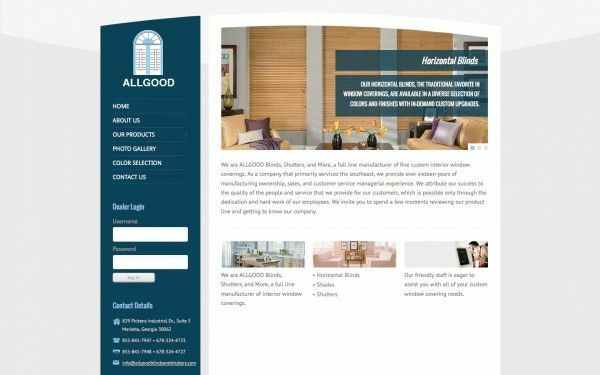 Let's discuss your web development and digital marketing needs and see how we can assist your business. 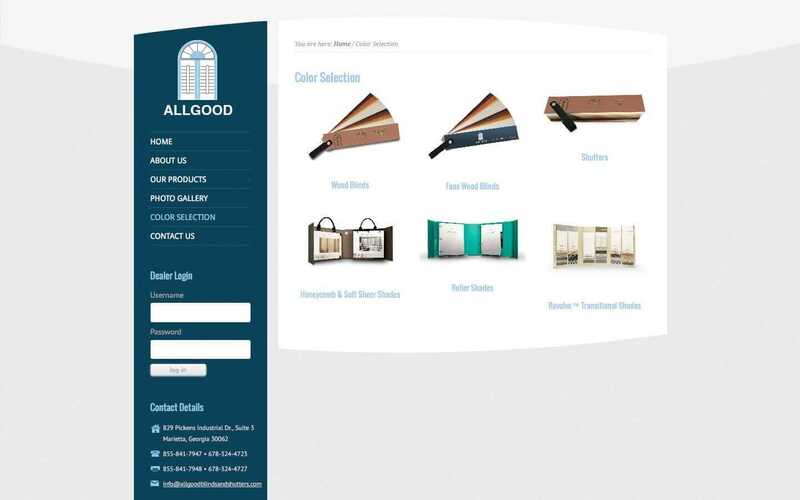 Give us a call or send us over an email so we can make your website resonate with your customers.